Author: Wendi S. Maurer, PhD. 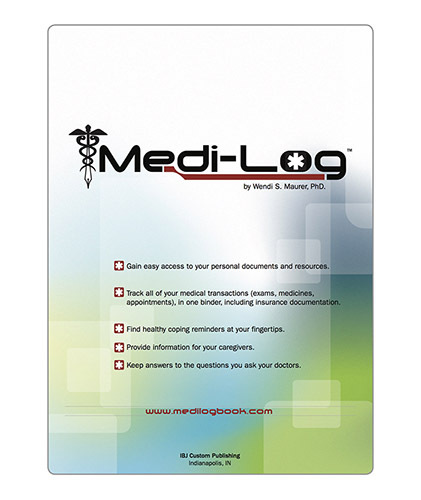 Created by Wendi S. Maurer, PhD., this log is meant for patients to collect and maintain information about their health. Use this log to gain easy access to your personal documents and resources and to track all of your medical transactions (exams, medicines, appointments) in one binder, including insurance documentation. You can find healthy coping reminders at your fingertips, provide information for your caregivers, and keep answers to the questions you ask your doctors.